After the last movie experience of Toy Story 3, we thought that it’s time to bring Dawn to the movies again. 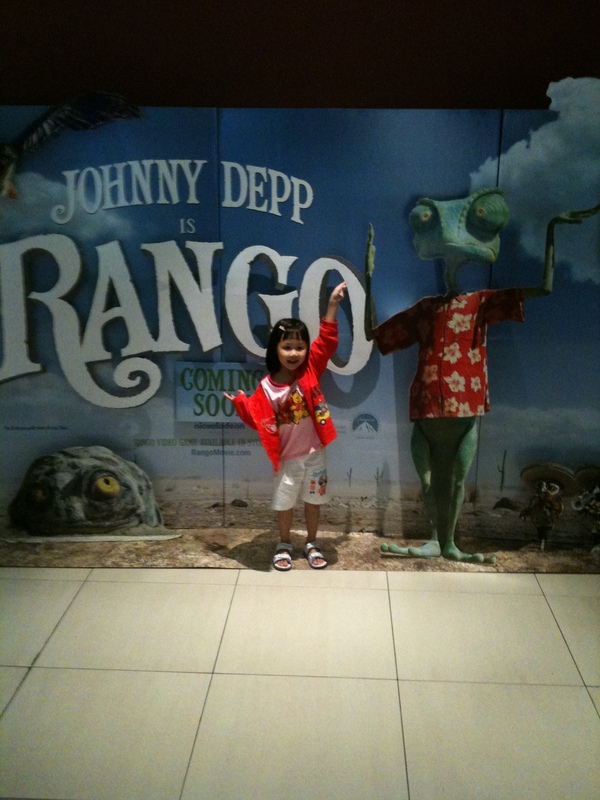 This time, she said that she wants to watch Rango, after watching the advertisement on Okto. And so we brought her last Saturday. Chose the movie timing to be 7pm so that she can be rested from her nap and full from her dinner. Our tickets – ANZ has a good promotion where each ticket is only $8.50 for weekends and you can still get the discount when making internet booking! Most of the credit card promotions are not valid using internet booking. The discount will be credited in the next bill. Look! Dawn and Rango! My girl definitely look better than the lizard. Dawn on her booster seat. 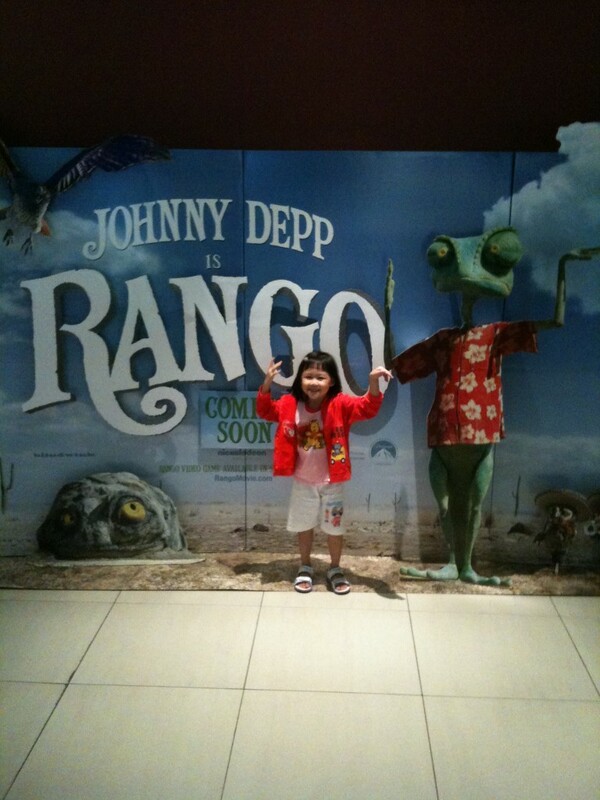 This entry was posted in Bzmommyhood, Dawn, Movies and tagged Dawn, Movies.